The Dominican-American Midwest Association is a tax-exempt organization. The Dominican-American Midwest Association (DAMA) is a nonpartisan, nonprofit organization seeking to address the needs of all Dominicans and Dominican-Americans in the Midwest region of the U.S. Specifically, DAMA creates an avenue for analysis, planning, and action concerning political, educational, economic, and health-related issues that affect their lives. DAMA strives to create awareness in the Dominican-American community that rights and duties permeate all social, cultural, economic, and political activity. T To celebrate Dominican Republic Independence Day in 1999, Chicago's Dominicans invited the Dominican Ambassador to Washington, Lic. Bernardo Vega, to speak about the U.S. Dominican community. In this transcendental speech, Ambassador Vega focused on the migration trends by Dominicans and other Caribbean peoples to the United States. At the end of his presentation he urged all Dominican residents to become naturalized citizens because only then could they exercise their inalienable right to vote. He went on to assert that upon achieving citizenship, they would have a voice to which U.S. politicians would irremediably have to listen. This speech inspired local Dominican-Americans and Dominicans who had been debating similar initiatives on an informal basis. There were members of existing organizations, government, university, medicine, and businesses. This coterie moved from discussion to incorporation to be known as Dominican-American Midwest Association (DAMA). With Ambassador Vegas' support, DAMA established initial links with the Dominican-American National Roundtable (DANR). Founded as a nonprofit and nonpartisan organization, DAMA seeks to address the needs of all Dominicans and Dominican-Americans in the Midwest region of the U.S. Specifically, DAMA creates an avenue for analysis, planning, and action concerning political, educational, economic, and health-related issues that affect their lives. DAMA strives to create awareness in the Dominican-American community that rights and duties permeate all social, cultural, economic, and political activities. Once it outlined its mission, DAMA set up as goal the empowerment of Dominican-Americans and Dominicans. The seeds have already begun to sprout. DAMA spearheaded La Posada Charities Drive at Casa Central during Christmas and the Three Kings Day Celebration, in which important political personalities participated, including U.S. Senator Richard Durbin, Cook County Board President John Stroger, Jr., and Cook County Commissioner for the Eighth District Roberto Maldonado. Thousands of toys were distributed to Latino children. Currently DAMA is attempting to speak with legislators about passing a House bill that would reduce the annual income level for a family to petition Dominican relatives. In the near future the organization will strive to establish a Dominican-owned savings cooperative and a Dominican Chamber of Commerce. To accomplish other activities being planned, DAMA aspires to consolidate and extend its network of contacts and cooperation with all Dominicans living in the Midwest. 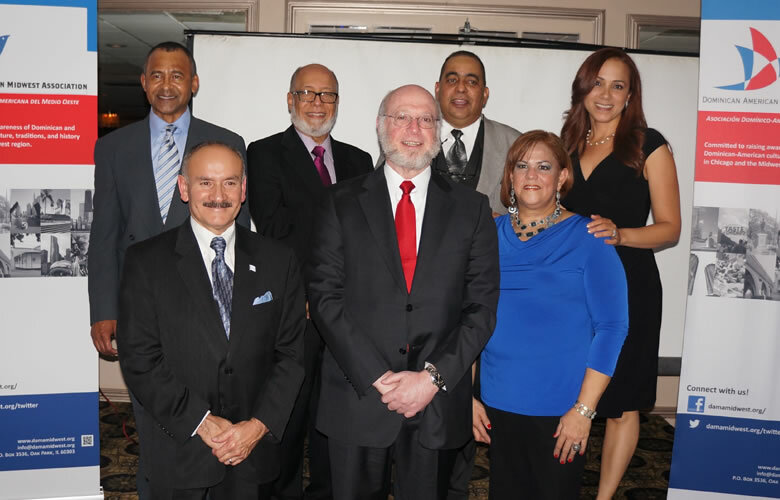 The Dominican-American Midwest Association (DAMA) is a nonpartisan, nonprofit organization seeking to address the needs of all Dominicans and Dominican-Americans in the Midwest region of the U.S. Specifically, DAMA creates an avenue for analysis, planning, and action concerning political, educational, economic, and health-related issues that affect their lives. DAMA strives to create awareness in the Dominican-American community that rights and duties permeate all social, cultural, economic, and political activity.